The Duplex self cleaning inlet filter uses a portion of the pump’s output to drive an internal backwashing rotor. The twin jets of the cleaning rotor rotate at about 60 rpm in each filter head. They clean the whole screen every ½ second. Approximately 20 – 25% of the pump output is required to supply the cleaning rotor. For a larger capacity (up to 90 litres per minute) these filters can be combined in a triple headed version that uses the same technology and filter cages, giving 50% more the flow rate. 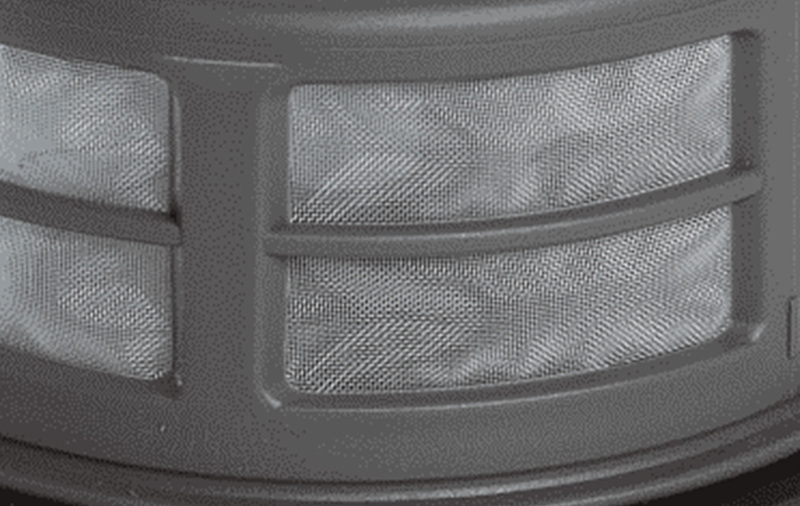 For a smaller capacity (up to 30 litres per minute) is on offer a single RF100 filter, the strainer uses the same technology and filter cage, giving half the flow rate. As the cleaning mechanism is on the filtered side of the screen debris in the water will not obstruct the mechanism.